Classic Sega IP like Sonic the Hedgehog, Phantasy Star, and Thunder Force are arriving on the Nintendo Switch in the new Sega Ages lineup. While a lot of the independently-developed titles landing on the Nintendo Switch might serve well for satisfying that retro gaming itch, there's really no direct replacement for true-to-form retro experiences. Nintendo doesn't seem at all keen on reviving the old Virtual Console support that fans were so fond of with the company's older hardware, so for it now it may simply be up to developers and publishers to bring their classic titles to the hybrid handheld. Luckily Sega is more than ready to heed the call, revealing through the recent Sega FES 2018 presentation the upcoming release of Sega Ages, which will bring classic Sega IP to the Nintendo Switch. Alongside other cool reveals like the so-far Japan-exclusive Sega Mega Drive Mini, the company has announced what looks to be the first releases in a series of retro-inspired game ports. The Sega Ages label will allow the team at Sega to make games such as Sonic the Hedgehog, Thunder Force IV, and Phantasy Star available to Nintendo Switch owners on what looks to be an a-la-carte basis. 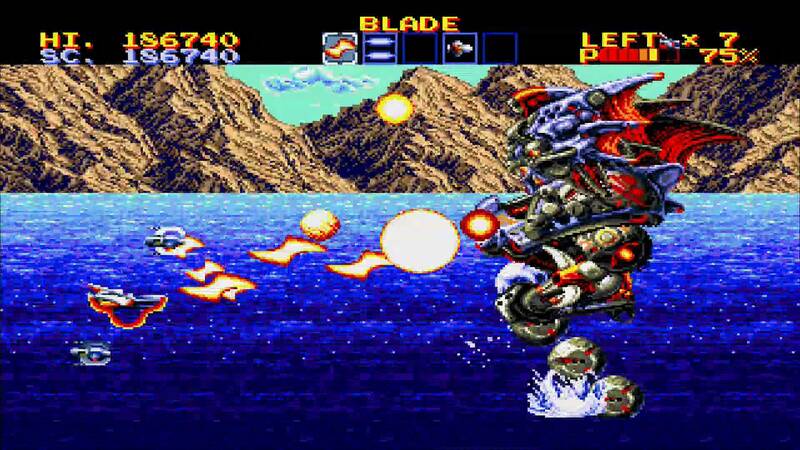 Thunder Force IV, originally release for the Mega Drive in July 1992. Though only the three aforementioned titles have been announced so far, Sega indicated plans to bring as many as 15 different tiles to Nintendo's latest hardware under the new initiative. The ports will be handled by M2, the studio responsible for classic re-releases under the 3D Classics Collection banner for Nintendo 3DS as well as the similarly-titled Sega Ages releases for PlayStation 2. While this news is certainly exciting for classic Sega fans, it does seem disappointing for those still yearning for Nintendo to bring Virtual Console support to the Switch. Hopefully playing some classic Phantasy Star on the Switch will alleviate such worries. Sega plans to start rolling out Sega Ages releases for the Nintendo Switch later this year, though we're still waiting to hear whether or not the team has plans to make the games available in English-language Western releases.